Why Should You Go Solar In Kelowna? Solar energy is a form of renewable energy that not only helps in reducing energy bills but also the carbon footprint of buildings. According to an estimated use of 1.5kW capacity of solar systems for a small size house with 2 people with an average energy consumption pattern going solar can reduce the total energy bills to zero. The city of Kelowna gets 2000 hours of sunshine annually, which makes it an ideal location to make use of Solar Power Systems (PV system). Installation of a solar system is easy as all new homes in most British Columbia municipalities are made to be solar ready i.e. 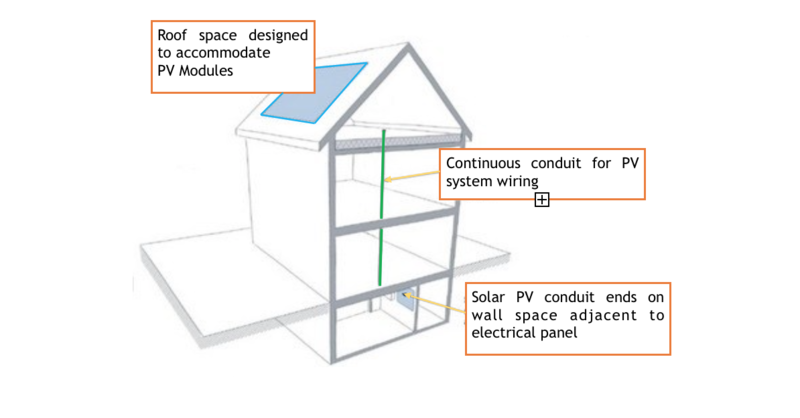 provisions are made during the house construction stages, which enable quick installation of a solar system during any stage of the house (use Figure 1). In addition incentives in form of rebates are also available for home owners on several provincial and federal levels, which partially cover the costs of a PV system investment and installation. The costs to instal Solar PV systems have fallen by 80% over the past decade and with the current research and advancements these costs are projected to keep on decreasing. Public utility providers in BC (FortisBC and BC Hydro) also offer net metering programs, which enable house owners to obtain credits when clean energy production of their house (i.e. solar energy) exceeds the consumption demand of the house. This extra energy is fed into a grid system of the respective utility and the credits are added into future energy bills of the house owners. 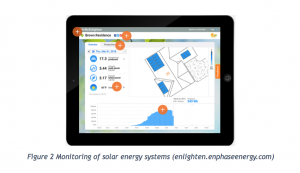 Solar energy produced for a residential unit can even be monitored on a handheld device through current technologies. Weather factors affecting solar energy production, system status, and the history of energy produced are just a few things that can be accessed on fingertips. This helps in auditing and managing energy use of your house! 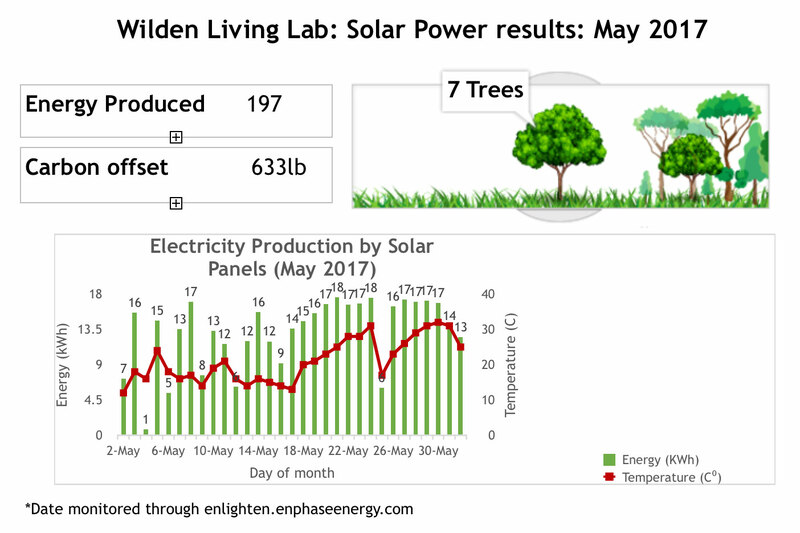 The following figure depicts data of the Wilden Living Lab: The Home of Tomorrow produced a total of 197kWh of energy for the month of May 2017 . The corresponding benefits on carbon footprint and trees saved are also shown. Stay posted for more real life data results in the future.